Geoparse, Geocode and Map your Data. Scan text for locations, extract addresses, street intersections, postal codes, zip codes and place names. Geocode the extracted locations into Latitude,Longitude,Elevation and export the results as GeoJson, Json, XML or CSV. Reverse geocode coordinates to addresses, place names, postal codes, zip codes, location codes, elevation and unique location numbers. Worldwide. Use our Autocomplete API for incomplete address data. Batch geocode large datasets. 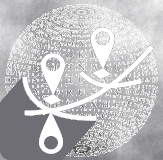 Our API also provides sentiment analysis on text and IP address geocoding.